Influenced by its geography and waves of multi-ethnic migration throughout its history, Australia’s diversity offers access to a high standard of living and wonderful quality of life. 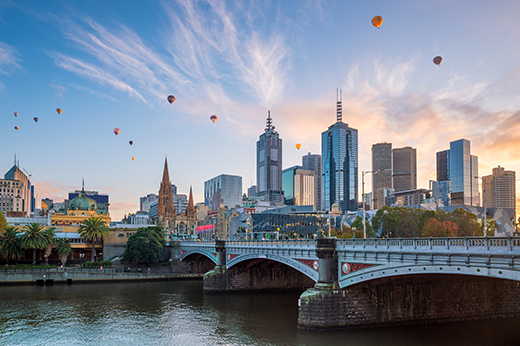 The capital city of Melbourne is a leading financial center and cultural capital with a population of more than 4.5 million people. Sydney, the creative hub of Australia, is renowned for its world-class performing arts. Switchplace offers a wonderful array of options throughout the continent, combining the familiarity and comfort of western amenities with the excitement of Australia.